Continuing a tradition that I sparked on another forum, I am establishing a unique organization here exclusively for the sinistral. 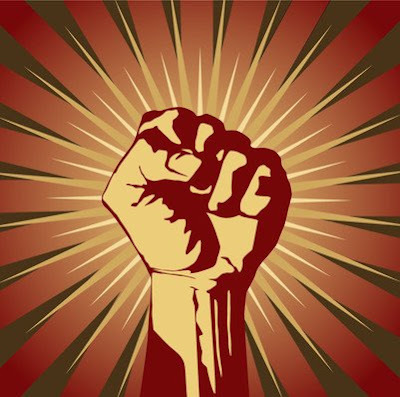 If you are a lefty, you are compelled to join forces with your southpaw brethren for the betterment of the left-handed community! For too long we have endured criticism, stereotypes, associations with evil (although in my case, they're quite accurate ), and the horrors of tools and equipment designed for our right-handed oppressors. For too long we have relegated ourselves to the background merely because we are vastly outnumbered by the opposite-handed. For too long, we have treated our left-handedness as merely an oddity, when it is actually the mark of a genius! Lefties of the world: UNITE! "Defining and Defying Genre: The Dilemma of Steampunk Music"
I'm the first recruit, do I get a badge? Is that a fact, or a function of our low numbers? There're fewer of us, see? Left-handers may well have the same chance of madness and genuis as the population on the whole. However, since there aren't as many of us, it'd be more notable, since a proportionately greater number of left handers have those traits. Bottom line: It's an artifact of statistics, if you will. You're not more likely to be mad or a genius just because you use your left hand. to be fair I am quoting half remembered details; however statistics of that nature should always be judged on a percentage basis otherwise it would as you have said be rather silly. In his book Right-Hand, Left-Hand,Chris McManus of University College London argues that the proportion of left-handers is rising and left-handed people as a group have historically produced an above-average quota of high achievers. He says that left-handers' brains are structured differently in a way that widens their range of abilities, and the genes that determine left-handedness also govern development of the language centres of the brain. McManus also says that the increase in the 20th century of people identifying as left-handed could produce a corresponding intellectual advance and a leap in the number of mathematical, sporting, or artistic geniuses. Anyone disagreeing is of course the victim of right handed propaganda! Shirts?.....I got plenty at 'ome. I say, Joe it's jolly frightening out here. Nonsense dear boy, you should be more like me. But look at you! You're shaking all over! Left-handed people are in their right mind, right-handed people have to use what's left. Count me in! Right handed tools, doors in shops, even cigarette lighters and corkscrews! We shall rise and crush!!!!! Or just talk about things, it's really up to you. "In what country is there a place for people like me?" My goodness am I the first lady member - how wonderful! As a member of the right handers, I commend you on your efforts. I extend my left hand, hoping to extend the hand of friendship between us. A hand that is neither left, nor right, but simply metaphorical. Also, I brought a cake, if anyone's interested. no ignorance shall escape my sight. 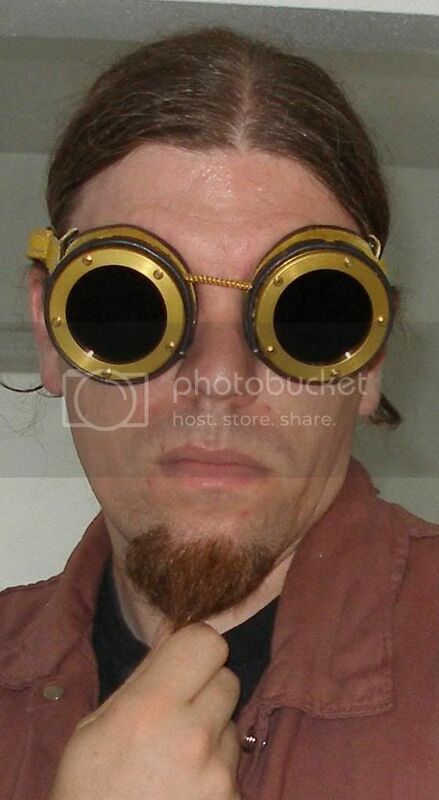 beware my power... Brass Goggles light! Ahoy thar mateys! I be a south paw, at least when it comes to writing. I will not, for there are "Lies, damned lies, and statistics". Like beauty to the eye of the beholder, truth is to the heart of the believer. Left handers are all mad and geniuses, even if they nor anyone else around them notices. While I appreciate your frosted gesture, I must inquire: is the accompanying cake server set right-handed? Okay, I'm kidding on the last one. That should be #9. Jemima, if you're willing to side with the sinistral in every battle between the left-handed and the right-handed, you are welcome to stay aboard. Otherwise, you are merely a double-agent. I'm a leftie, more or less; I only learned to write with my left hand, but everything else I do with my left or right hand as the mood takes me. Good enough for me, Tara. You're our 10th member. "Why Ambassador, with these lime and orange tic-tacs you are really spoiling us!" Yar, I be a lefty. I thank you, good sir, for contributing a new genius to the world. Vela, you're our 11th member. According to my mother, she made every effort possible to make my right handed when I was a very young child, but I remained stubbornly a leftie. My father was a natural leftie whose parents had coerced him into using his right hand by stabbing his left hand with a fork or other pointy implement every time he used it. Your resistance makes you perfectly qualified to join our ranks. Welcome to the revolution, Vienna! <punches a Kalashnikov into the air, gripping in his left hand> For the REVOLUTION! So! Whats our strategy for dominating the world with our genius? "There was a time when they cared nothing for Miss Vance, when their only experience of humanity was a crowbar coming at them down a steel corridor"
First, we begin introducing prominent left-handed individuals into political offices. America is ahead of you on that one. Next, we begin subtly dismantling right-handed appliances and tools, forcing the uneducated right-handed to purchase and learn to operate left-handed products. I should think the League's first order of business should be to draw up a Charter, and a Bill of Lefts. Page created in 0.823 seconds with 17 queries.